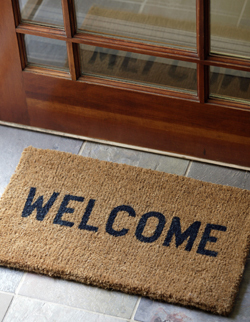 Our goal is to make you feel welcome as soon as you walk in our door. Your first visit will take approximately 45 minutes. First, you will greeted at the front desk by someone who will help you with the necessary paperwork. After that, you’ll have a consultation with the doctor and this portion of your visit is FREE! The reason it’s FREE is because the doctor needs to determine if you will be a candidate for chiropractic or not. If you are not a candidate for the treatment we offer, your visit will end here. Dr. Rios will explain why this is a rare case that he will be unable to help you with and give you guidance as to where you need to go to correct your problem. If you are a candidate, he will explain to you in general terms what your problem is and what needs to be done in order to correct it. After that, he will explain the specific tests that need to be conducted, how long these will take and how much they will cost. Rest assured that you will know and understand all procedures and the costs before you commit to anything. Once you agree to proceed with the treatment, you will go back to the reception area where our staff will set up the appropriate appointments for the exams and treatment. Now that Dr. Rios has conducted his exams and evaluated the results, he will be able to explain all the details about your case. During this 40 minute visit, he will take time to help you understand: what is wrong with you, what we can do to correct your problem, what you need to do to cooperate with his work, how long it will take to fix the problem and how much it will cost. He will also be ready to begin the treatment during that visit.